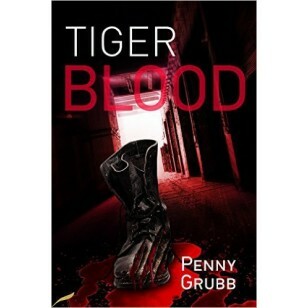 Penny Grubb’s Tiger Blood is book 2 in her Webber & Ahmed series of police procedurals. Detective Superintendent Martyn Webber already has enough on his plate without the re-emergence of a get-away car from a 30-year-old felony. The sophistication of modern crime and a hacker at loose on the city’s traffic systems has to take priority before someone is seriously hurt. But the past will not fade into the background. In fact, it is all set to hit hard from an unpredictable direction. Can DC Ayaan Ahmed throw light on one part of the puzzle or has he been fooled by a manipulative teenager? Has a brilliant scientist travelled half way round the world just to tell Webber things he already knows? Is she as devoid of empathy as she seems, is she hiding something, or is she scared? Webber must allow her to go on her way because he has no solid reason to hold her, but he wonders if he’ll ever see her again. Someone somewhere is pulling strings behind the scenes. Today’s crimes reach back into the past even as the past reaches out to despoil the present. There’s a pattern to be found, but they don’t have enough of the pieces. And the clock is ticking.